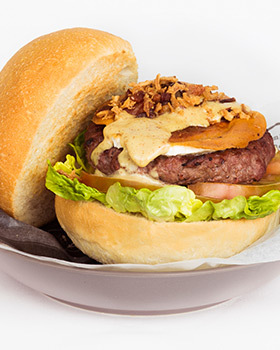 Restaurant La Burguesa is a casual burger bar with a pleasant atmosphere. It offers a variety of twelve burgers to choose from. You can also order homemade fries, nachos, chicken fingers and salads. Your Special Meal is a burger, fries and chips. There is a special kids menu of mini burger, french fries and ice cream.